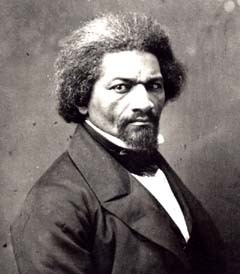 click image for close-up By the time this photograph of Frederick Douglass was taken, slavery in the United States had been abolished. After the Civil War Douglass would to fight for the rights of blacks, as well as for women. In 1889 he was appointed U.S. minister to Haiti.